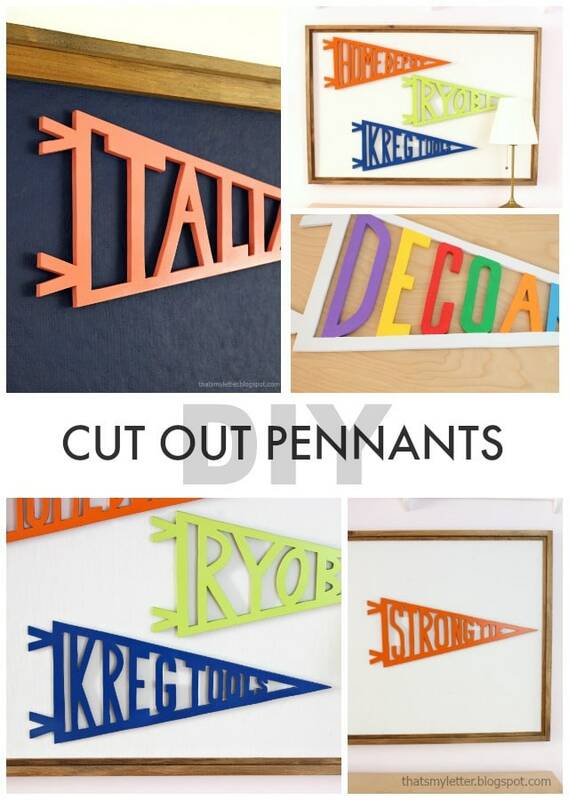 Let’s make cut out pennants with any word or letters you desire. 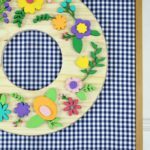 If you love using a jig saw and scroll saw then this project will be right up your alley. 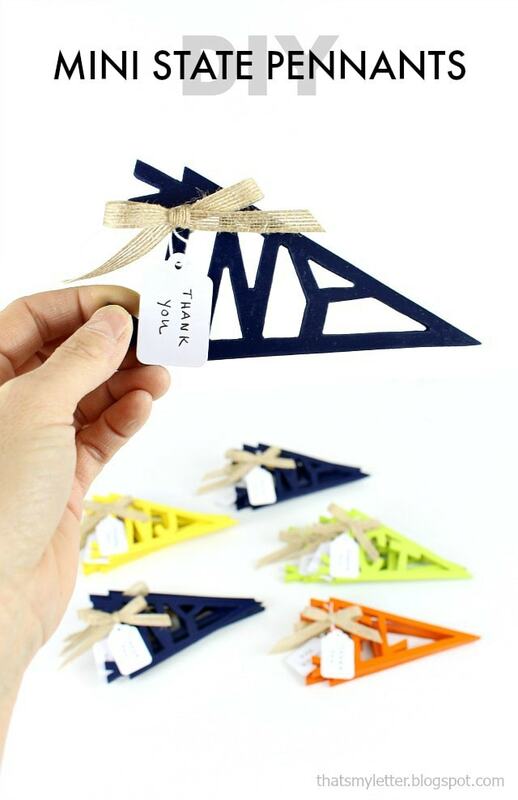 *This post is not sponsored by any of the company names you may see, I made those pennants as gifts. 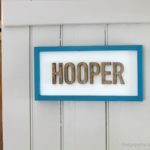 I recently shared a peek of this project over on Instagram, be sure to follow me there for up to date ongoings and project snippets. 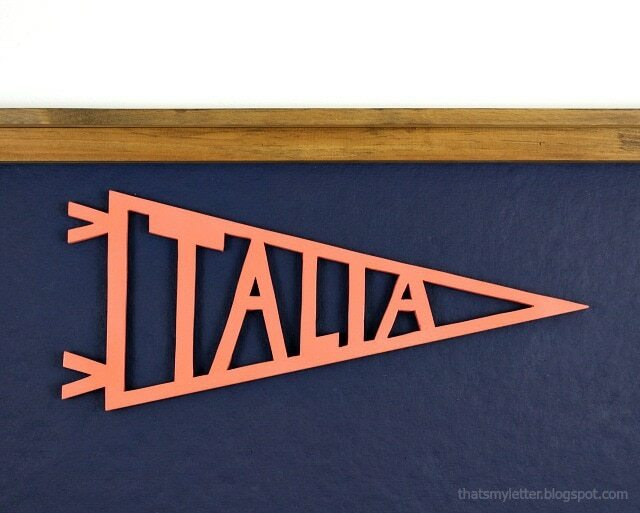 Kait at Pink Linen Designs sells these wood pennants on her Etsy site here. 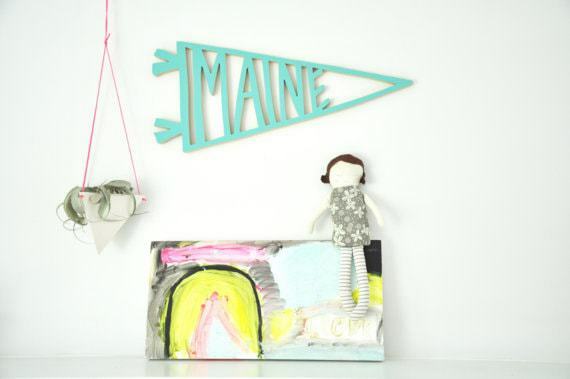 She has all sorts of words featured: names, states, sayings and I believe she will do custom pennants as well. 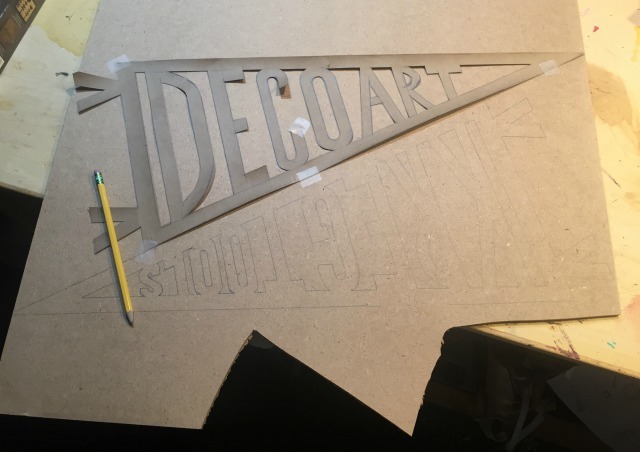 She uses a CNC machine to make her pennants however I don’t have access to a CNC machine so I opted to make something similar using my scroll and jig saws. 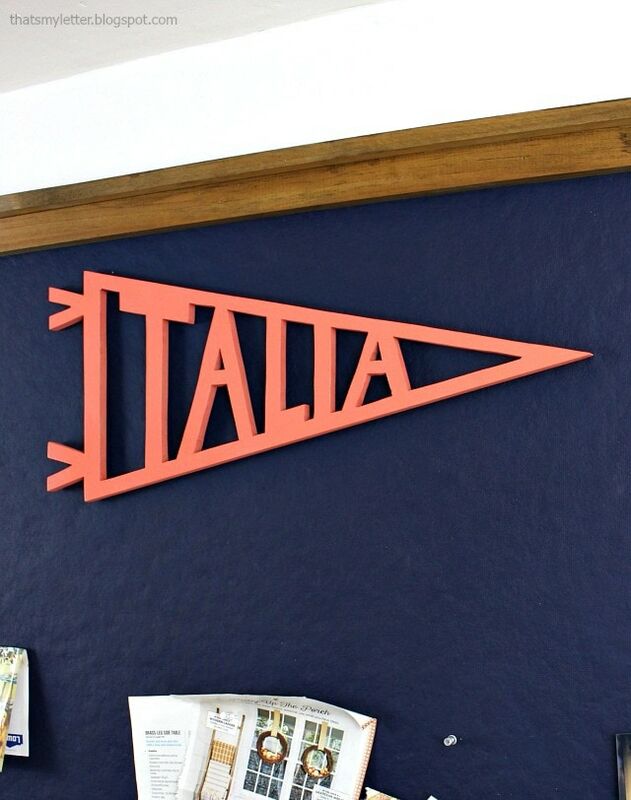 This coral painted ‘Talia’ pennant is for my niece for her birthday. 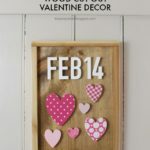 Cutting with the jig saw and scroll saw definitely takes patience and practice. 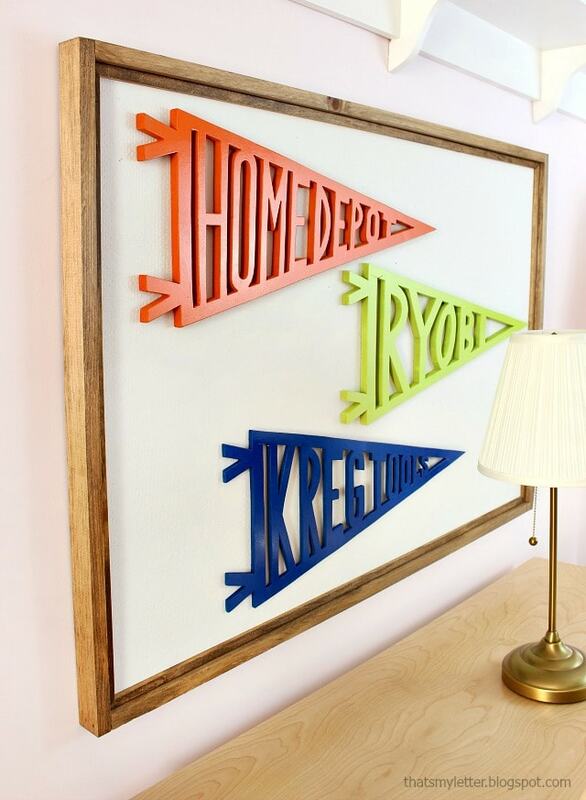 I used MDF for these projects as it’s a little bit more forgiving but you could use plywood too. The finish options are endless. 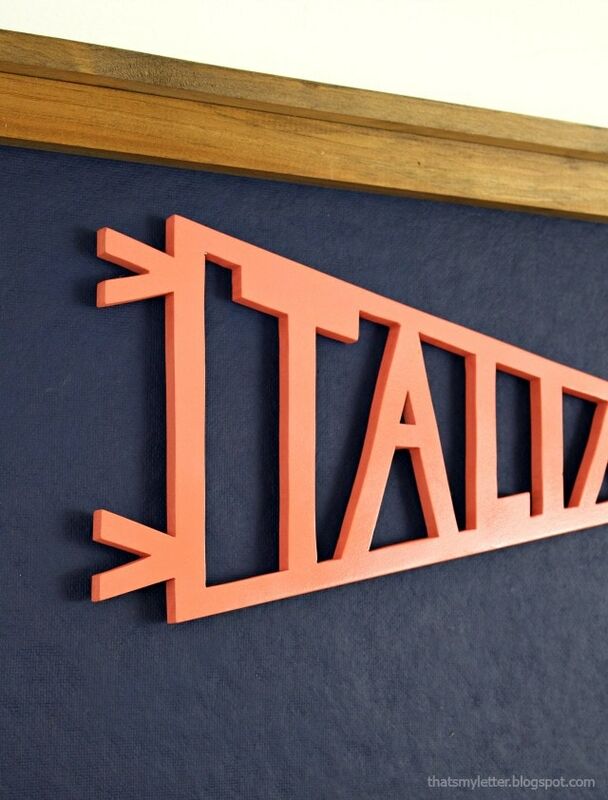 Spray paint is easiest especially on the MDF in order to achieve a smooth shiny finish. 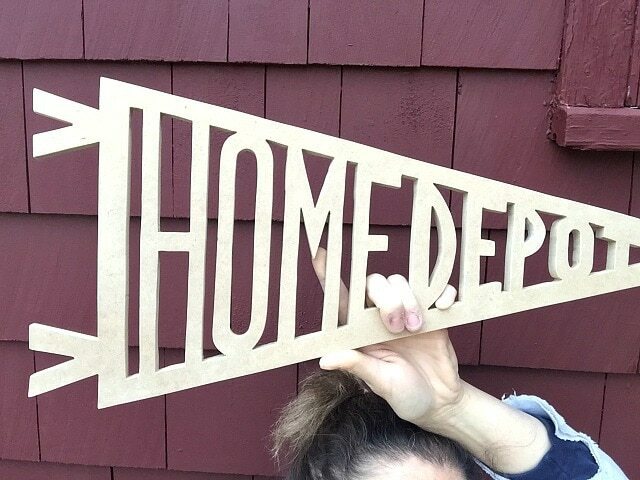 I’ll show you how to make a cut out pennant down below and you will have beautiful handmade gifts to give to all your friends. Step 1: Create a pattern using kraft paper and a ruler. 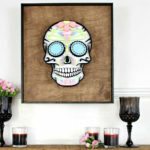 You could also sketch directly onto the MDF /plywood. I opted for a pattern because it’s reusable should I ever want to make the project again. Trace the pattern using a pencil. 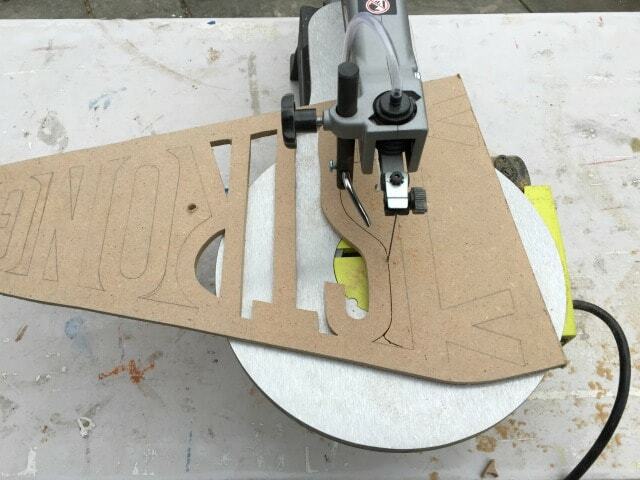 Step 2: Cut out the exterior shape using a jig saw. Using a drill make holes at the interior portions, drill the hole big enough to fit your saw blade. Use a scroll saw or jig saw to cut away interior portions. A jig saw will be best for long straight cuts and the scroll saw better for curvy cuts. Step 3: Sand edges smooth. Step 4: Spray paint the project. 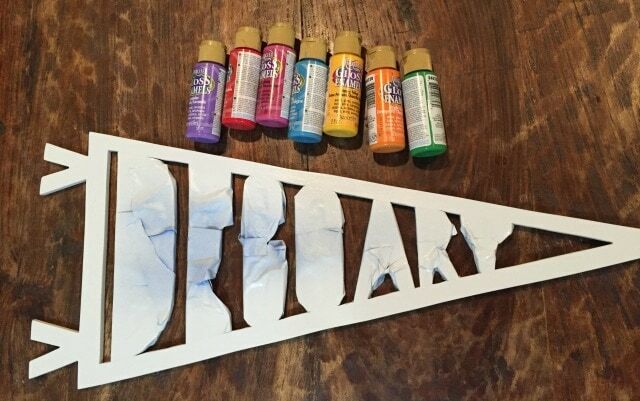 For this specific pennant I spray painted the edge white while masking the letters. 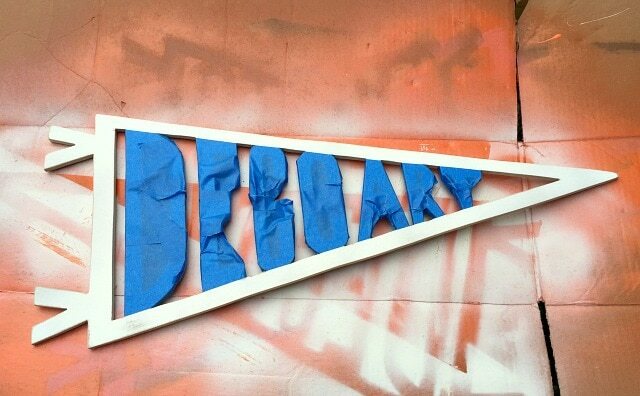 Step 5: Remove the tape and paint the letters as desired. I hope you enjoyed this project. 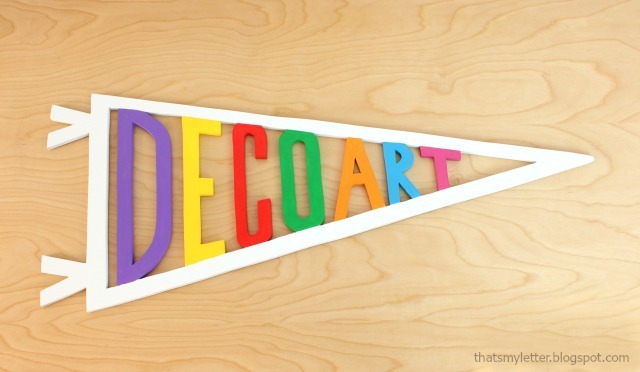 Please share your pennants on social media and tag me, I love to see others ideas and finished pieces.